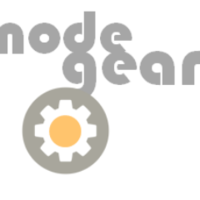 NodeGear is a node.js hosting company. We host node.js applications and provide a simple control panel. Our goal is to simplify node.js hosting as much as possible. Our infrastructure runs on Docker, and all apps launched run on Docker. Get and set up mongodb and mysql databases. Monitoring emails. If your app goes down, you'll know it.